The leaders of two anti-establishment parties have each claimed they have the right to govern Italy, after voters in Europe’s fourth-largest economy did not return a majority to any single party. But the anti-immigrant League said it had been endorsed to run the country as part of a centre-right alliance. Forming a government could take weeks of negotiation and coalition-building. Former Prime Minister Matteo Renzi has resigned as leader of the governing centre-left Democratic Party, which performed poorly, taking less than 20 per cent of the vote. He said the party would not join a coalition with “anti-system forces” and would go into opposition instead. An alliance between the far-right League and ex-Prime Minister Silvio Berlusconi’s Forza Italia party is set to win the most seats in the Lower House of Parliament, but the League has emerged as the senior partner. It won 17.4 per cent of the vote compared with Forza Italia’s 14 percent. Union Ministers Nitin Gadkari and Jual Oram have been appointed as the party’s Central observers to oversee the matters related to formation the first BJP led government in the state. AIR correspondent reports, newly elected all members of BJP and its ally IPFT will hold their first meeting today in Agartala at around 11 O’clock in the State Guest House. BJP party sources said in that meeting the Chief Minister’s name will be decided. BJP National General Secretary Ram Madhav will be present at the meeting. After the meeting with elected and core committee members, the Central observers will submit their report to the BJP Parliamentary Board for final announcement of the name of the Chief Minister. Party sources also said the oath-taking ceremony is likely to be held on 9th March. National People’s Party president Conrad Sangma took oath, the 12th chief minister of the state on Tuesday. Governor Ganga Prasad invited Sangma to form the government after the Saturday results threw up a fractured mandate. Bharatiya Janata Party on Saturday had suggested that the NPP and United Democratic Party enter into an alliance to form a “non-Congress government” in the state.After which the NPP got support from United Democratic Party, People’s Democratic Front, Hill State People’s Democratic Party and the BJP and an Independent. UDP, PDF, HSPDP and BJP have six, four, two and two seats respectively. 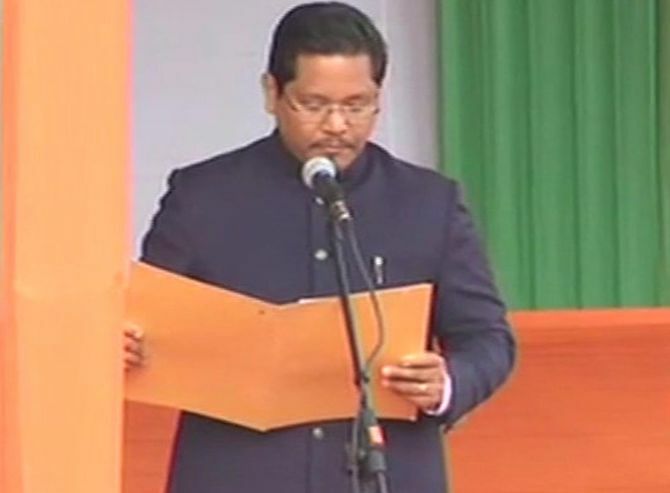 Sangma claimed support of 34 MLAs, on this occasions, Union Home Minister Rajnath Singh and Bharatiya Janata Party president Amit Shah, Assam Finance Minister Himanta Biswa Sarma, who is the chairman of the North East Democratic Alliance, were present at the swearing-in ceremony at Raj Bhavan. CBI seeks extension of remand of Karti Chidambaram on the plea that presence of accused is actually needed in order to serve some important and specific purposes connected with completion of investigation in the INX media case. The CBI has sought an extension of custody for nine days. The CBI said that Karti Chidambaram also needs to confront the accused, co-accused and unearth the larger conspiracy and the role of other accused persons involved in the case. It said that during the custodial interrogation so far, CBI was able to gather some important information even though the accused (Karti Chidambaram) has remained evasive even while answering the routine questions. CBI today produced Karti Chidambaram, arrested in the INX Media corruption case, before a Delhi court and sought his custody for nine more days. Special Judge Sunil Rana said the court will hear the matter at 2 pm today as Additional Solicitor General (ASG) Tushar Mehta, who had appeared before it on the last hearing, was not available for arguments on behalf of the CBI. The probe agency today submitted before the court certain documents in a sealed cover related to the probe in the case over the last six days. Tripura BJP president and newly-elected MLA Biplab Kumar Deb was today unanimously elected leader of the BJP legislature party in the state, Union minister Nitin Gadkari announced. Deb, whose name was proposed by party MLA Sudip Roy Burman in the meeting, will be the new chief minister of Tripura, Gadkari said. BJP’s poll ally, the Indigenous People’s Front of Tripura, has demanded that the chief minister be from the tribal community. Gadkari, deputed as observer by BJP president Amit Shah, said BJP MLA Jishnu Debbarma will be the deputy chief minister. Deb will stake claim to form government in the state before Governor Tathagata Roy. No MLA of the IPFT was present in the meeting. The IPFT had yesterday threatened not to join the government if the party was not given “respectable positions” in the ministry. It would support the government from outside if its conditions were not met, it said. The Second fundraiser of Children’s Hope took place in Nation’s Capital! After completing over 5 years of working for the underprivileged children, the Second fundraiser of Children’s Hope took place on Saturday, 3rd of March 2018, at the Kila Restaurant, Kalka Das Marg, Mehrauli, New Delhi. The evening was graced by many prominent personalities like Abha Singh, former civil servant and an advocate in the High Court of Judicature, Socialite Bina Ramani, Vijay Ramani and many more. The entire gathering as well as children present in the evening were entertained by Stand up Comedian Jeeveshu Ahluwalia’s performance. Apart from him, a silent auction of paintings provided by Great Banyan Tree also happened, for the cause. This CH fundraiser sponsored by many corporates and individuals, (like Amway, JCB, PFC, ITC, Centrum, IndusInd Bank, Atlas Cycles, Omnicom Media Group, Bird Group, Drums Food, Fenesta, Tecnova etc.) which focus on its mission of “Every Child Counts” and work towards providing education and a holistic development of the urban slum children, on a Pan India level. Few children witnessed with their graceful performances, and all the participants will receive a “goodie bag”. Well, CH is trying to increase the participation of society in its activities, and alongside accomplish its fundraising goals. CH had its first fundraiser one year ago with the Nizami Bandhus. With it being a resounding success. Founded in August 2012, in New Delhi, drawing its inspiration from Children’s Hope India-New York, Children’s Hope works with the mission “From Cradle to Career” – helping the less advantaged children progress from poverty to prosperity, thereby giving them a chance for a brighter future. The organization works with an aim to alleviate their poverty through educational, vocational, community and medical initiatives. Currently it is associated with over 25 projects located in Delhi, Mumbai, Kolkatta, Bhopal, Hyderabad, Pune, Jammu, and Bhuj. RBI releases draft directions on Repurchase transactions (Repo) (Reserve Bank) 2018 under section 45 W of the RBI Act, 1934. Please find enclosed draft directions on Repurchase transactions (Repo) 2018 released by RBI for your kind reference. The Reserve Bank of India having considered it necessary in public interest and to regulate the financial system of the country to its advantage, in exercise of the powers conferred under section 45W of the Reserve Bank of India Act, 1934 (RBI Act) and of all the powers enabling it in this behalf, hereby gives the following directions to all persons dealing in repurchase transactions (repos). These directions may be called the Repurchase transactions (Repo) (Reserve Bank) Directions, 2018 and shall supersede all other Directions issued in this regard. Government securities mean a security created and issued by the Central and State Government for the purpose of raising a public loan or for any other purpose as may be notified by the Government in the Official Gazette and having one of the forms mentioned in section 3 of Government Securities Act 2006.
b. Corporate bonds and debentures mean non-convertible debt securities issued in India, which create or acknowledge indebtedness, including (i) debentures (ii) bonds (iii) commercial papers (iv) certificate of deposits and such other securities of a company or a body constituted by or under a Central or State Act, whether constituting a charge on the assets of the company or body or not, or such other persons as may be specified by the Reserve Bank. c. Municipal bonds means a debt security created and issued by or on behalf of a municipality or a local authority in India for the purpose of raising a public loan or for any other purpose, which are specified in this behalf by Govt. of India. d. Regulated entity means any person, other than an individual or HUF, that is subject to the regulatory jurisdiction of an Indian financial regulator viz. Reserve Bank of India, Securities and Exchange Board of India, Insurance Regulatory and Development Authority of India, Pension Fund Regulatory and Development Authority, National Housing Bank and National Bank for Agriculture and Rural Development. e. Listed corporate means a company or firm whose shares and (or) debt are listed and traded on an official stock exchange recognized by the concerned regulator. f. Delivery versus Payment (DvP) is a settlement mechanism which stipulates that transfer of funds from the buyer of securities must be made simultaneously with the transfer of securities by the seller of securities. g. Repo is as defined in Section 45U (c) of RBI Act, 1934.
h. Reverse Repo is as defined in Section 45U (d) of RBI Act, 1934. A ‘repo’ transaction by an entity is ‘reverse repo’ transaction for the counterpart entity. Hence, in these Directions, the word ‘repo’ is used to mean both ‘repo’ and ‘reverse repo’ with the appropriate meaning applied contextually. i. Tri-party repo is a type of repo contract where a third entity (apart from the borrower and lender), called a Tri-Party Agent, acts as an intermediary between the two parties to the repo to facilitate services like collateral selection, payment and settlement, custody and management during the life of the transaction. j. Haircut is the difference between the market value of an asset and the purchase price paid at the start of a repo. a. Tri-Party repos are transacted through a Tri-Party agent in terms of Tri-Party Repo (Reserve Bank) Directions dated August 10, 2017.
b. Listed corporate bonds and debentures :provided that no corporate bonds and debentures may be used as collateral for any repo transaction wherein at least one counterparty is either the issuer or a related entity of the issuer. Listed corporate bonds and debentures also include securities issued in India by Multilateral Development Banks (MDB) like World Bank Group (e.g., The International Bank for Reconstruction and Development, The International Finance Corporation), the Asian Development Bank or the African Development Bank and other such entities as approved by RBI. c. Any unlisted company which has been issued special securities by the Government of India. d. Any All India Financial Institution (FIs) viz. Exim Bank, NABARD, NHB and SIDBI. e. Any other entity approved by RBI for this purpose. Repo transactions may be traded on recognized stock exchanges, electronic trading platforms (ETP) authorised by RBI or in the over-the-counter (OTC) market. All repo trades shall be reported within 15 minutes of the trade to the reporting platform F-TRAC under Clearcorp Dealing Systems (India) Ltd. (CDSIL) and any other entity as specified by RBI. a. The first leg of all repo transactions shall settle either on a T+0 or T+1 basis. b. All repo transactions shall settle on a DvP basis. c. All government securities repos shall settle on a guaranteed basis through a clearing house approved by RBI. d. All repos in corporate bonds and debentures shall settle through the clearing house of exchanges or any other entity approved by RBI. i. On-sold either as an outright transaction or as part of another repo transaction. ii. Substituted by another security by mutual agreement under pre-existing arrangement. i. Collaterals shall be priced transparently at prevailing market prices, in the first leg of a repo. ii. Haircut will be decided either by the clearing house or may be bilaterally agreed upon, under Global Master Repurchase Agreement (GMRA). Repos shall be accounted for by RBI regulated entities as per guidelines contained in RBI circular no. IDMD/4135/11.08.43/2009-10 dated March 23, 2010 (Annex I, II & III). Other eligible participants may account as per applicable accounting standards. The funds borrowed under market repo in government securities shall be exempted from CRR/SLR computation and the security acquired under repo shall be eligible for SLR. The borrowings of a bank through repo in corporate bonds and debentures and municipal debt shall be reckoned as liabilities for reserve requirement and, to the extent these liabilities are to the banking system, they shall be netted as per clause (d) of the explanation under section 42(1) of the RBI Act, 1934. The participants in bilateral OTC market shall enter into Master Repo Agreement as per the documentation finalized by Fixed Income Money Market and Derivatives Association of India (FIMMDA). Center has pushed largely UNVIABLE & UNDESIRABLE Projects and DMRC Phase IV is most corrupted and least desirable to cost over Rs.500 Cr/Km. Rs.50,000 Cr or Rs.60,000 Cr [Delhi Resources] that phase IV may cost is MOST CORRUPTED TRANSPORT Project so far. Public Investment Priority of Delhi is 24hr Water Supply, Dams on Yamuna which Are PENDING for 64 Years, Waste Treatment, Covered Sewers & Drains, Education & Healthcare. Rs.60,000 Cr Shall DELIVER ALL ABOVE. Delhi already has 3.5m Seats in Public Transport, Need Integration. Yesterday there was story of UPGRADE OF SHATABDI-RAJDHANI Trains at Rs.2.35 Cr Per Coach – Revenue Loss Could Make it Rs.4 Cr. ALMOST COST OF NEW COACHES. Since most of these Trains Originate in Delhi – I am Concerned. 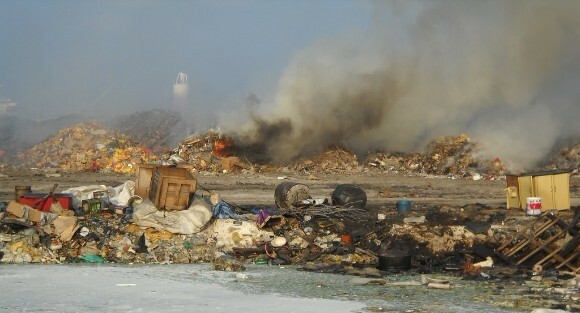 We will be Travelling in JUNK GRADE Coaches, Pay Twice More. Delhi need 10+ New Stations to Decongest Main Railway Stations. March 5, 2018. HOUSTON and March 6, 2018 NEW DELHI. Mr. B C Tripathi, Chairman & Managing Director, GAIL flagged off GAIL’s first USA sourced LNG cargo from Sabine Pass LNG export facility in Louisiana on 5th March 2018. The cargo has been loaded on-board GAIL’s first chartered LNG ship “Meridian Spirit”. This LNG cargo originated from Cheniere Energy’s LNG export facility at Sabine Pass LNG project. The cargo will discharge LNG at Dabhol terminal of GAIL on or around 28th of this month. The ship set sail after a ceremony to mark the occasion at Sabine Pass in the presence of Cheniere CEO Mr. Jack Fusco and GAIL Chairman and Managing Director Mr. B. C. Tripathi, who were joined by Consul General of India in Houston, Dr Anupam Ray, as well as representatives from Cheniere and GAIL. The LNG SPA, which was signed in December of 2011, commenced on March 1, 2018. Under the terms of the SPA, GAIL would purchase approximately 3.5 million tonnes of LNG per year from Sabine Pass. “With supplies commencing from US, GAIL will have a diversified portfolio both on price indexation and geographical locations,” said Mr. Tripathi. “This long term agreement would go in a long way in strengthening relationship between GAIL and Cheniere and reinforcing India-US trade ties,” he added. GAIL is India’s leading natural gas company with diversified interests across the natural gas value chain of trading, transmission, LPG production & transmission, LNG re-gasification, Petrochemicals, City Gas, E&P, etc. GAIL is expanding pipeline network by about 5000 kms. at an investment of over $ 3 billion to operate over 16,000 kms by 2020. GAIL commands 75% market share in gas transmission and has a Gas trading share of over 50% in India. It also has a growing international presence through subsidiaries in the USA and Singapore. It is also planning to invest over a billion dollars into its City Gas Distribution projects.